Last week and this week we’re experiencing our first bout of Spring weather! Luckily the warmest day, 66 degrees, was yesterday when Koen and I were both off from work. I think all of Antwerp was outside, enjoying the warm sunny weather! 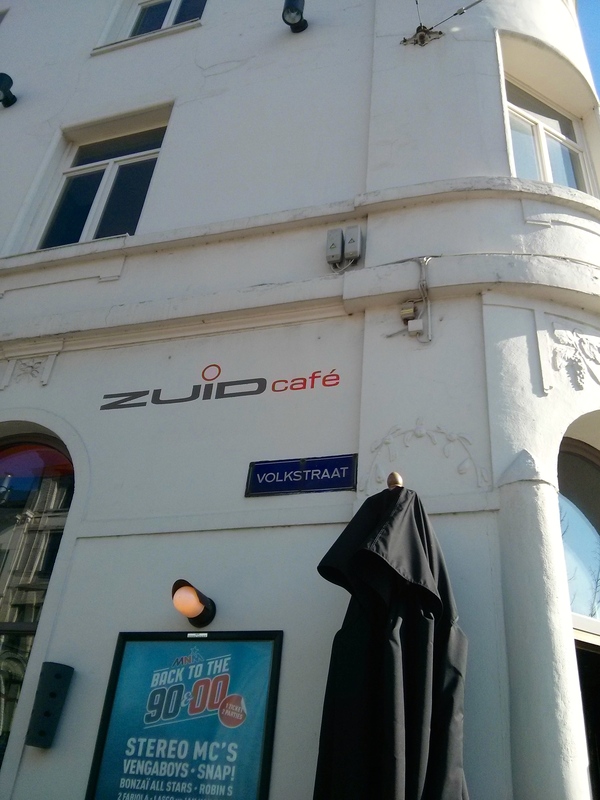 We took the opportunity to take a long walk to the South of Antwerp and enjoyed our first terrasje, or outdoor café, of the year at the Zuid Café. Because we had already had lunch, we only ordered drinks. After seeing everyone else’s food we definitely want to go back to try the food – everything looked so delicious! Last Sunday Koen’s parents came to Antwerp for a visit. 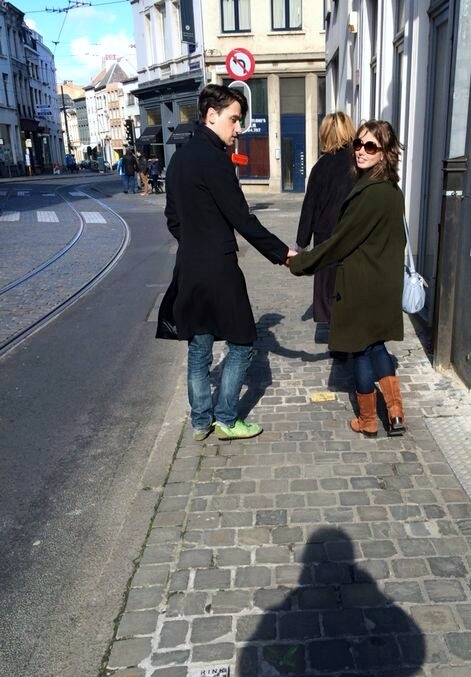 We had wonderful, sunny weather and took a nice stroll through the city. After a delicious lunch at Burgerij, we checked out an exhibit about royal luggage and then walked a different route back to our apartment. It’s always fun playing the tour guide! 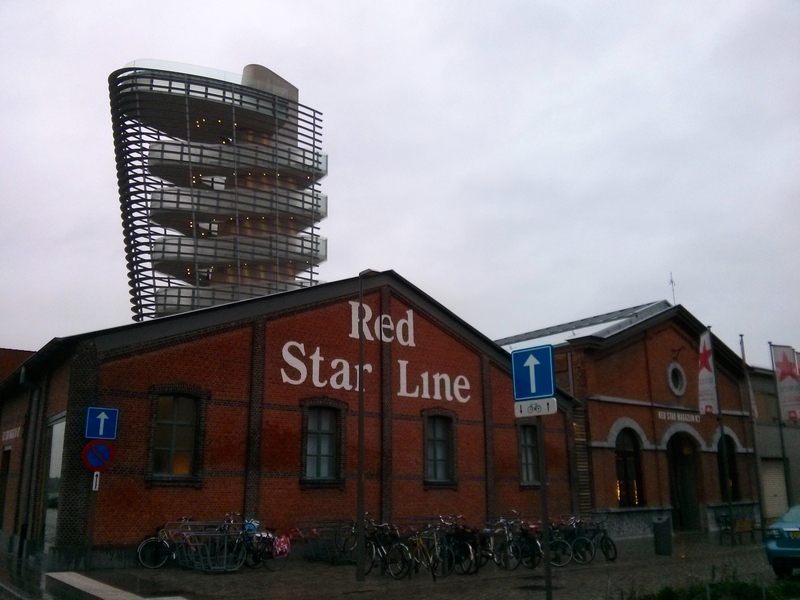 A few weeks ago, Koen and I visited Antwerp’s newest museum – the Red Star Line Museum. The Red Star Line was a company that transported European immigrants to America and Canada. The museum is located in the former warehouses and you are able to listen to and read the stories of immigrants who traveled via Antwerp. There are tales of excitement and disappointment and you’re surrounded by photos and artwork of the voyages. If you are interested in history and personal tales, you’ll love the museum (like Koen and I did)!